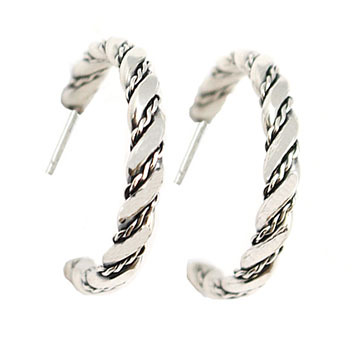 Sterling silver post hoop earrings with round wire and twist wire twisted and flatted a little. It measures just over 1/8" wide and just under 7/8" hoop diameter. It is Navajo hand made by (now deceased) Phillip Tsosie.